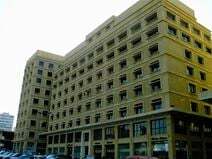 Once in a life time chance to develop your business in this spectacular building housed in the downtown of Beirut Souks which is well known for its world class development for commercial and financial. Providing easy access to many amenities including nearby shops, international companies, foreign embassies and official buildings like Prime Minister’s offices, key ministries and Municipality of Beirut. 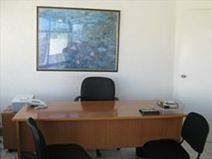 This recently refurbished rental office is nested in the heart of Beirut business area. Equipped with first class facilities such as meeting/conference rooms, high speed internet, business lounge and video-conferencing facilities. This centre, accessible 24/7, offers administrative support, IT support and reception services that will manage incoming clients and handle your telephone answering. The office enjoys great access to international airport, numerous restaurants and shops of Solidere. In the heart of Beiruts financial and commercial districts and only a 20-minute drive from the airport this center is ideal for start-ups and established business alike. Offices are fully furnished and come in a variety of sizes and configurations to accommodate businesses of any background and collaborative groups of any size. At this centre, there are refreshments available, and the conference facilities are available to use at your disposal. Various flexible office spaces are available at this business centre, with a full range of services that will enable your business to flourish under the best conditions. Offering either private or shared space, this business address is situated in one of the city's most trendy districts, a hub of business and tourism throughout the year. This is a lively area, full of hotels, banks, hospitals and cafés, meaning you will be well provided with mundane amenities at a convenient. A range of support services are available at this office centre, which offers private office space, meeting rooms, and high-speed internet access. Located in a quiet area of the city, close to a range of retail, eateries and banks, there are many facilities and amenities to accommodate any client's requirements. The offices come furnished, and this turnkey solution is fully equipped with a waiting area, fax line and international access. Above one of the country's most popular retail destinations, this 8th floor business centre provides a choice of coworking and serviced office spaces. With fantastic breakout/lounge spaces, you can socialise and network with like minded colleagues in an attractive, well-designed space. In addition, the centre also provides IT support to ensure you stay well connected throughout your occupancy. With other business towns just a short drive away, you are perfectly located to grow your business. In a calm area of Beirut just a few kilometres from Rafic Hariri International Airport, this strategically located business centre provides stylish serviced offices with good links to Damascus. Offices are finished to a high standard, boasting extreme comfort and style while being bathed in natural light. With CCTV monitoring and 24-hour security in place, these offices are well-protected and the centre offers flexible terms, giving your company the freedom to flourish without hassle. Situated on the fifth floor of this commercial building on the outskirts of Beirut, this center provides access to a range of workspaces, a private meeting room and a spacious conference room. This fully-equipped space comes with high-speed internet so you can operate well-connected. The immediate vicinity offers many amenities, such as supermarkets, pharmacies and parks. This commercial area holds many other businesses with which you can network. This rental office is prominently located in a prime business area within the Doragate modern commercial building. It is nicely decorated and outfitted by contemporary furniture, further enhanced by availability of lounge area, air conditioning and ample parking spaces. 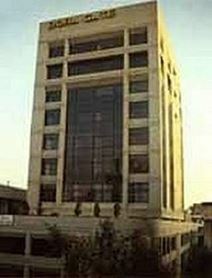 This office is close to major banks, international companies and also to the many tourist attractions of Beirut. Good access to the city centre and the newly developed airport. This brand new business centre offers office spaces of various size and meeting rooms, all equipped to a high standard with modern and stylish furniture, high-speed internet connection and the latest videoconferencing solutions. These offices benefit from a full range of support services provided by a professional end experienced staff. 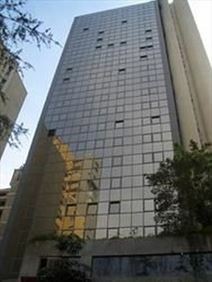 The centre is located in Beirut's commercial district, one of the most prestigious business addresses of the city.